In recent years, vulnerability assessments have increasingly been used to identify climate change impact hotspots and to provide input for adaptation and development planning at local, national and regional levels. Vulnerability assessments assumed particular significance in the context of the National Adaptation Plan (NAP) process. This process was established in 2010 as part of the Cancun Adaptation Framework to complement existing short-term national adaptation programmes of action (NAPAs). It aims at reducing the vulnerability of developing countries, especially the least developed countries (LDCs) and the most vulnerable groups, by addressing medium- and long-term adaptation needs. Consequently, assessment of climate change vulnerabilities at different levels is an integral part of NAP implementation, as emphasised by the Technical Guidelines for the National Adaptation Plan Process (LEG 2012). However, with so many varying definitions of vulnerability and related terms, and the variety of methodologies aiming to address them (see e.g. UNFCCC 2010b), there has been no dedicated conceptual approach for assessing vulnerability in the context of development cooperation. 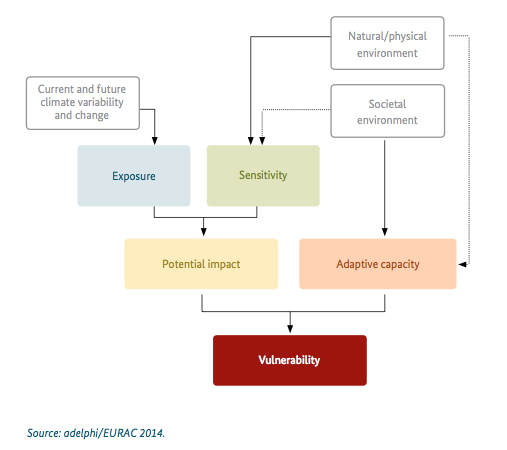 Moreover, vulnerability assessments have largely been confined to a supporting role in adaptation planning. But there is also a demand for compelling methods which assess adaptation efforts and incorporate lessons from adaptation experience, and so vulnerability assessments have assumed a new role in monitoring and evaluation (M&E) of adaptation. Who is the Vulnerability Sourcebook for? Users of the Vulnerability Sourcebook are likely be familiar with issues of climate change and adaptation. The document, however, does not presuppose advanced scientific expertise in developing and conducting vulnerability assessments. It is written for users with a basic understanding of the concept of vulnerability and methods for dealing with it. It is particularly concerned with providing readily understandable, user-friendly guidance in the development and implementation of vulnerability assessments. It acknowledges the specific conditions which prevail in developing countries – requirements as well as constraints. How should the Vulnerability Sourcebook be used? Chapter II is devoted to the Conceptual Framework which describes the cornerstones of the Vulnerability Sourcebook’s theoretical approach. Reflecting the current state-of-the-art in vulnerability assessments and best practise examples in monitoring and evaluation of adaptation measures, the Conceptual Framework explains key terminology and assumptions used in the Vulnerability Sourcebook, for example, how vulnerability analysis is linked to monitoring and evaluation. The Conceptual Framework is particularly targeted at readers tasked with overall vulnerability assessment coordination who require a more profound understanding of the concepts behind vulnerability analyses. Building on the Conceptual Framework, Chapter III of the Vulnerability Source- book – the Guidelines – provides detailed, practical instructions for implementing vulnerability assessments. The major tasks to conduct a vulnerability assessment are structured in modules which provide step-by-step instructions while also identifying potential pitfalls the user may encounter during implementation. Each module starts with a brief overview of key steps explained in the module as well as the resources and information required to execute them, and guidance on supplementary information and tools provided in the Annex (see below). The Guidelines are not only targeted at vulnerability assessment coordinators and steering groups, but anyone implementing vulnerability assessments in full or in part who wants a deeper understanding of their tasks and how they relate to the overall vulnerability assessment. 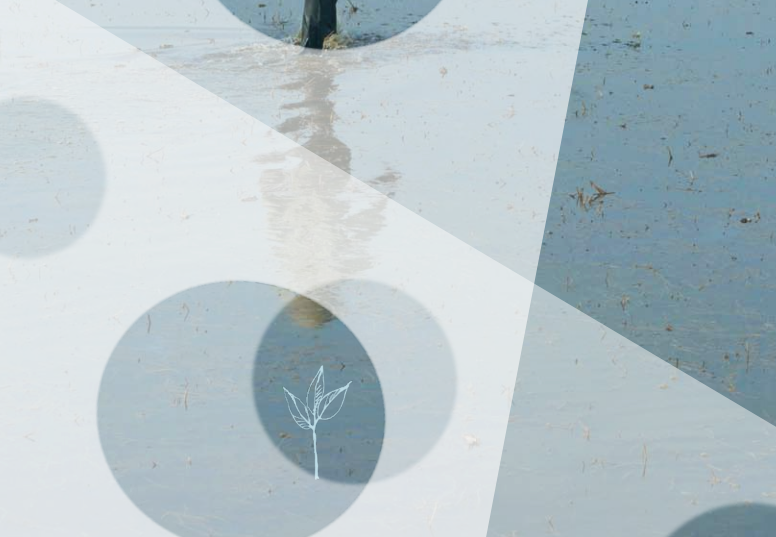 Chapter IV of the Vulnerability Sourcebook deals with ways in which vulnerability assessments can support M&E of vulnerability and adaptation. This chapter outlines the opportunities and challenges in using vulnerability assessments for this purpose, along with practical guidance. Suggested citation: Fritzsche, K., Schneiderbauer, S., Buseck, P., Kienberger, S., Buth, M., Zebisch, M. and Kahlenborn, W. (2014). The Vulnerability Sourcebook. Deutsche Gesellschaft für Internationale Zusammenarbeit (GIZ) GmbH. Authors: Kerstin Fritzsche, Stefan Schneiderbauer, Philip Bubeck, Stefan Kienberger, Mareike Buth, Marc Zebisch and Walter Kahlenborn. Contributions from: Sibylle Kabisch, Wera Wojtkiewicz, Christian Richter and Daniel Becker.